Perlina Bryce (Brice) Rhinehart (1794-1875) married twice. She was married first to a man named Collier. She was very young when she married this man and by him she had three children: a boy John, a girl Marion, and a baby boy, which her granddaughter Effie said was named Ebinetus. When Collier was killed or disappeared she had to give the two oldest children away but kept the baby. 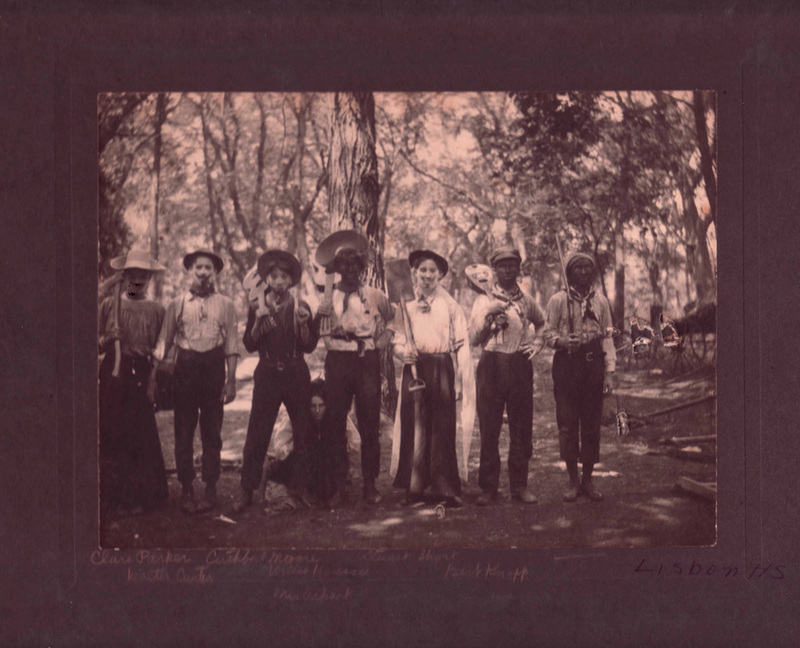 Her second husband was Peter Rhinehart and they had eight children, including James and William pictured below. 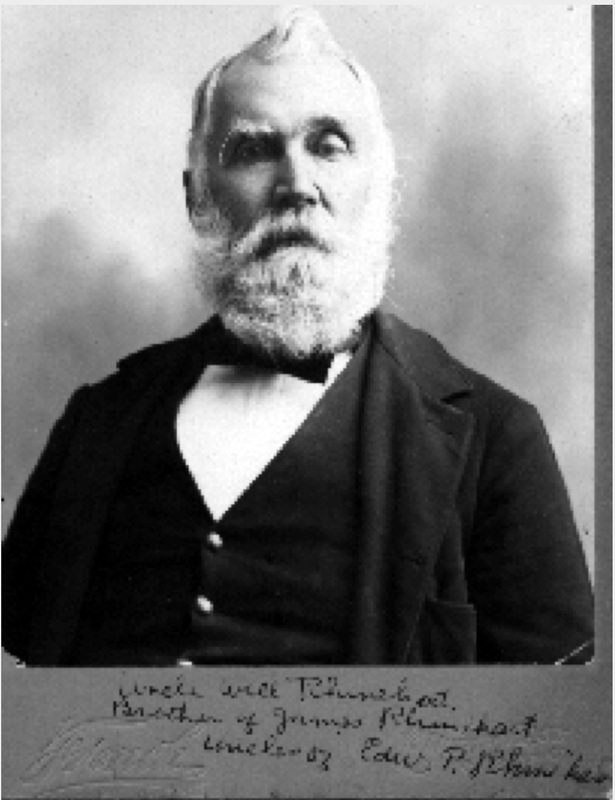 James Rhinehart (1825-1911) father of Edward Peter Rhinehart. James married Jane Sinden (1831-1900) and they had seven children. Above and Right: William Rhinehart (1822-1904) married Jane Gracie and they had no children, but raised Julia Amy Knight as a foster child from age 3. Edward Peter was the son of James Rhinehart and Jane Sinden. Edward Peter Rhinehart (1851-1924) married Julia Amy Knight (1852-1900) in 1874. 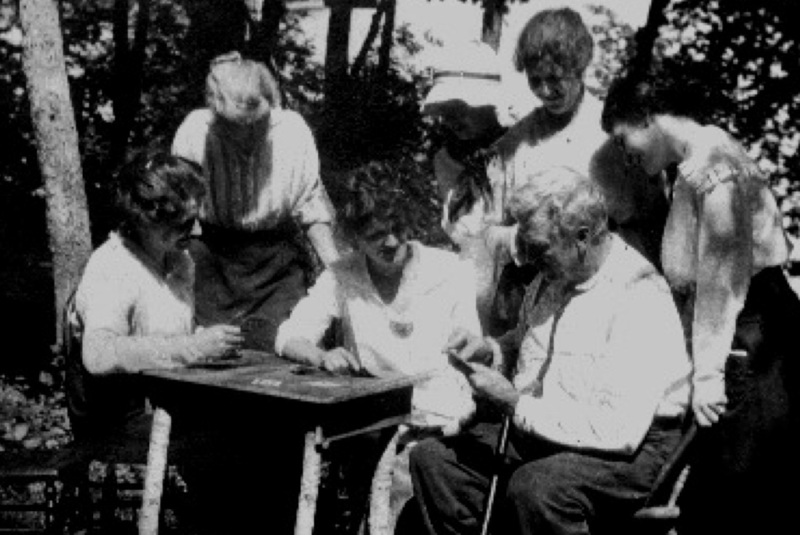 They had five children, Ethel, Laura, Maud, James and Alice. Above and right: Later photos of Edward Rhinehart above with daughter Maud and friends. 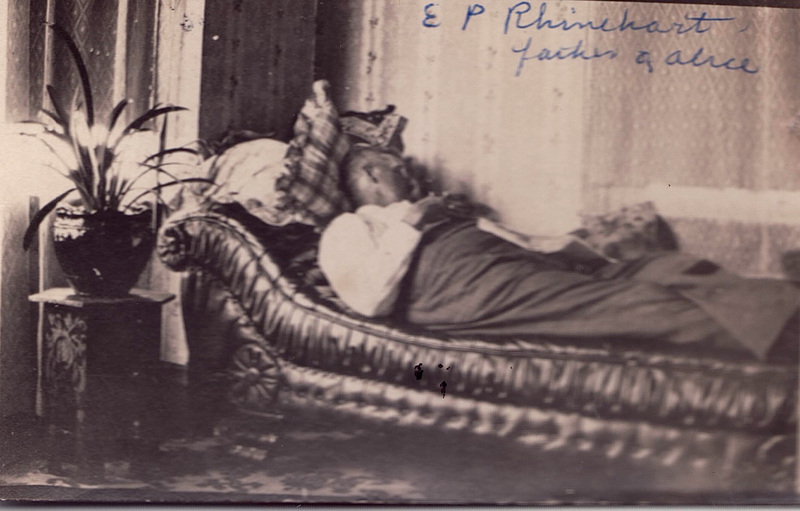 Edward Peter Rhinehart about 1911 on photo postcard sent by Alice to sister Ethel. Alice commented that this was a very natural looking pose for Edward. 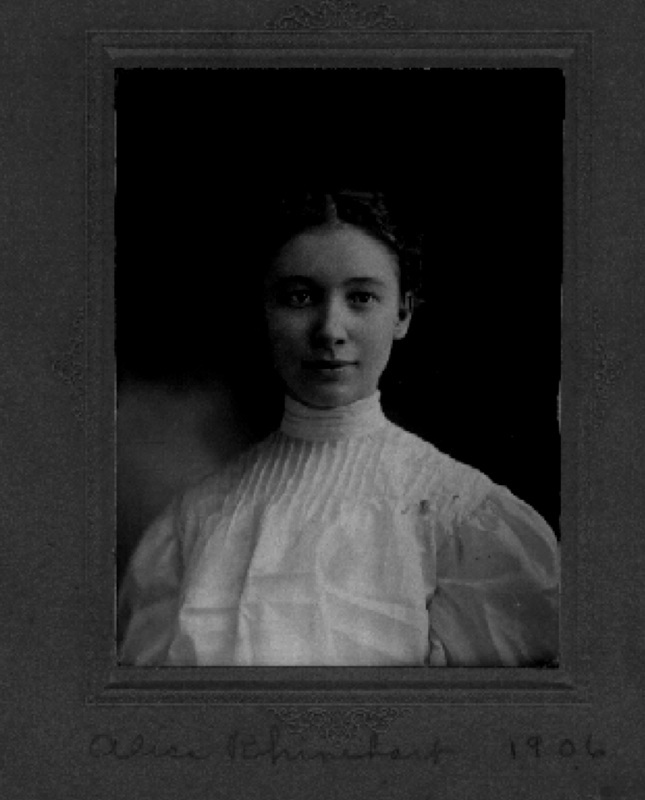 Effie was the daughter of James Rhinehart and the sister of Edward Peter Rhinehart. She married Henry Houghton. 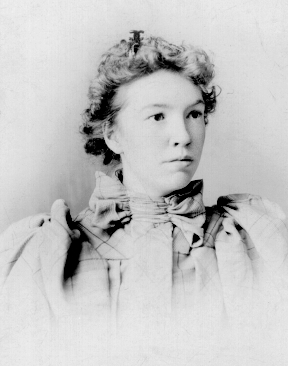 Effie Rhinehart Houghton (1853-1939) in photo from about 1905. Effie and her husband Henry Houghton (1849-1937). They married 1874 and had three children. 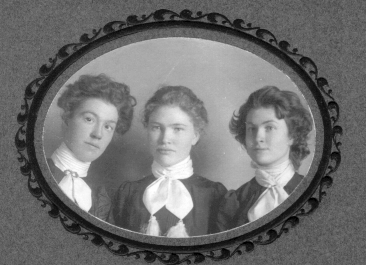 Children of Effie Rhinehart and Henry Houghton: From left, Eugene (b 1875), Elizabeth (b. 1882) and James (b. 1880) Photo taken in mid-1880s. From left: Elizabeth Houghton Piper, Effie Rhinehart Houghton, and Miriam Piper Nivens holding infant. Photo taken in 1938. 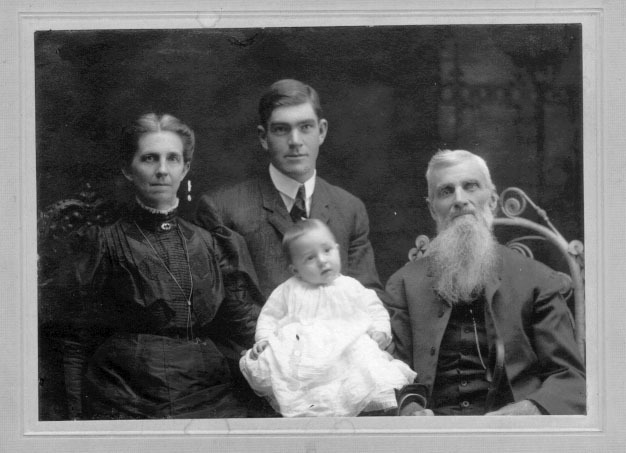 Four generations with Effie at left and her father James Rhinehart on right. 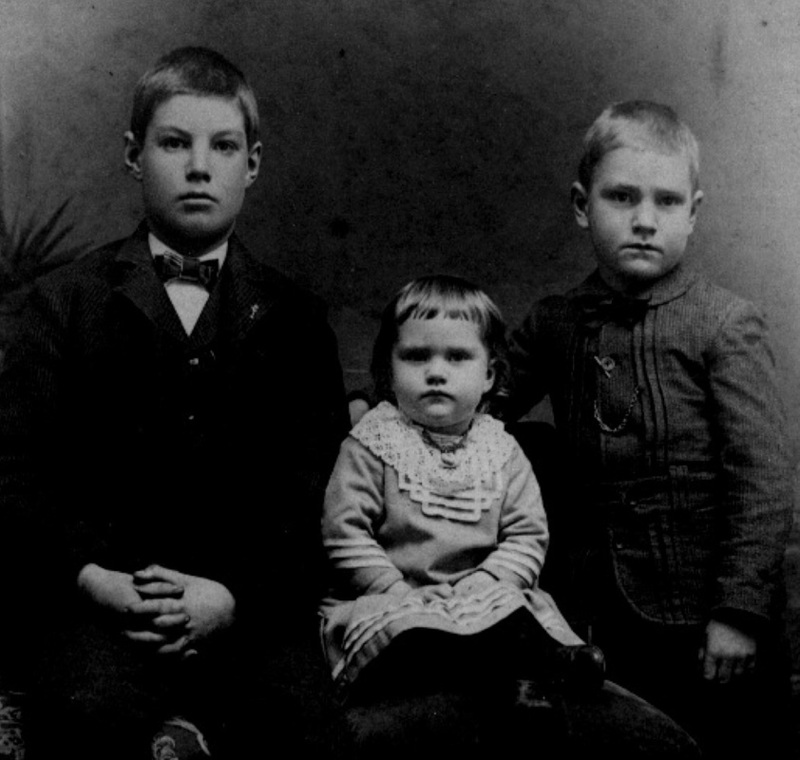 In center are her son, James Houghton holding infant Ralph Houghton. 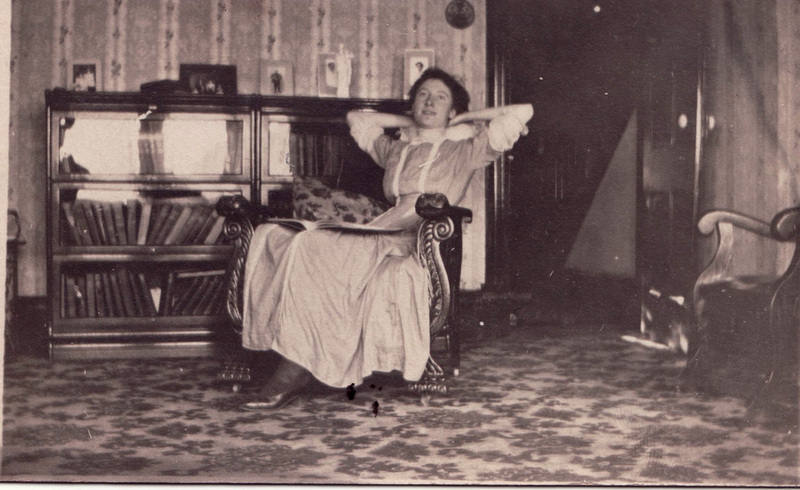 Mary Edith was a beautiful and intelligent woman, according to her niece Ethel Rhinehart Carr. She was a teacher for many years. In 1904 when she was 42 she married Charles Edwin Williams (picture at left). She died of kidney failure at the age of 45. They had no children. She was the daughter of James Rhinehard and his wife Jane and the sister of Effie and Edward Rhinehart. 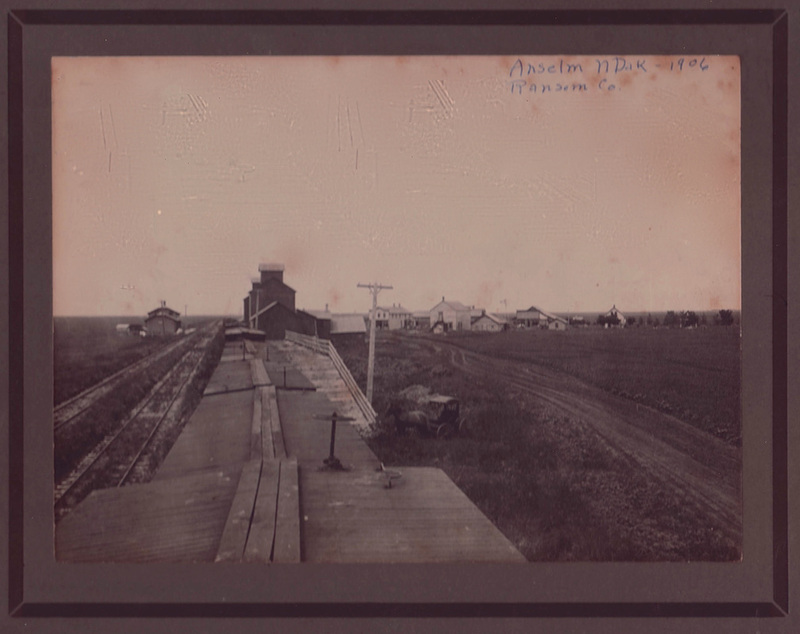 View of Anselm, North Dakota, about 1906, birthplace of Alice Rhinehart and her siblings. 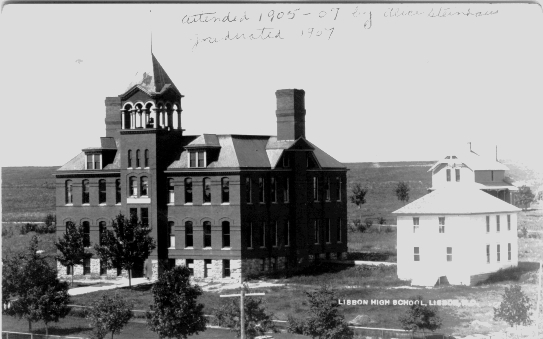 Lisbon High School class of 1907. 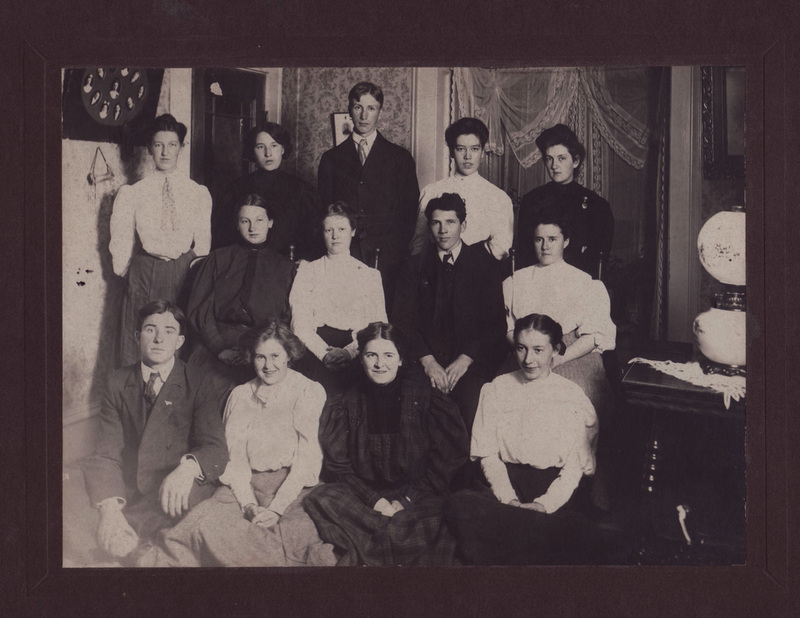 Alice Rhinehart front row far right. 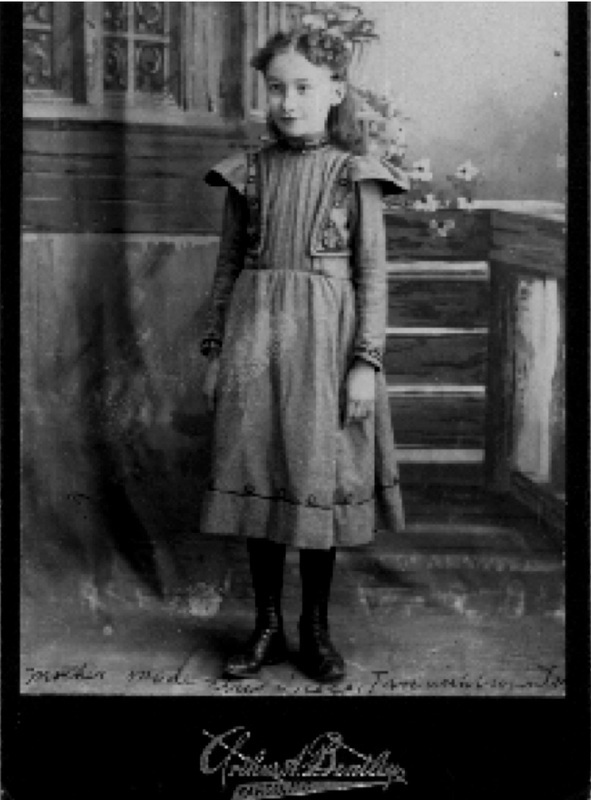 Alice Rhinehart in 1903, about age 14. 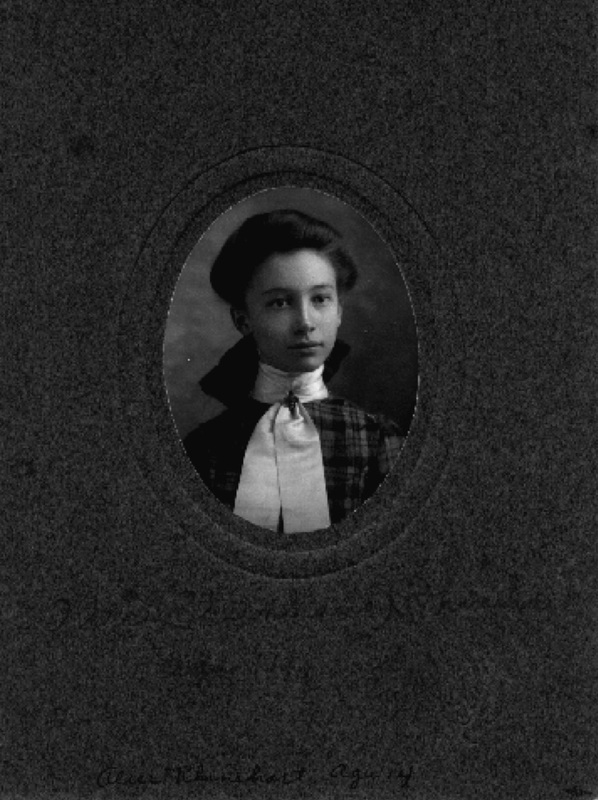 Alice in 1906, about age 17. Wedding chivaree for Alice and Art Steinhaus at their wedding in January 1914, Max, North Dakota. 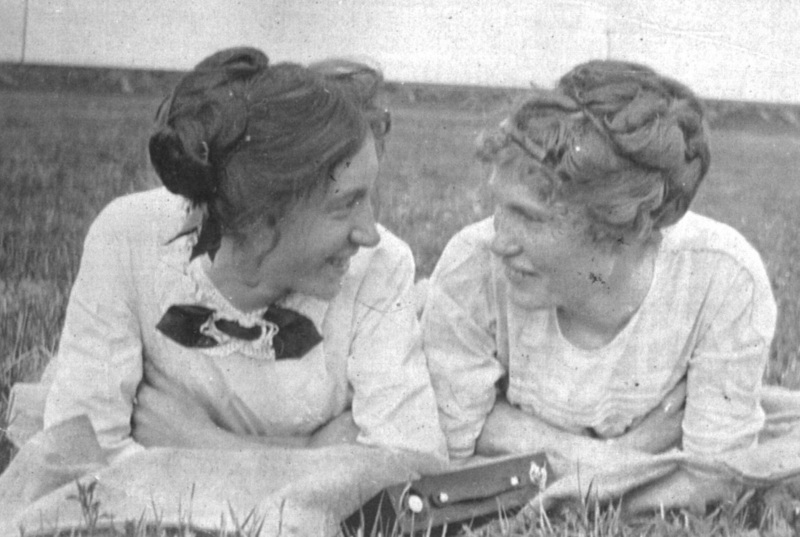 Alice and her sister Ethel, date unknown. Alice and Art Steinhaus, early 1940s. 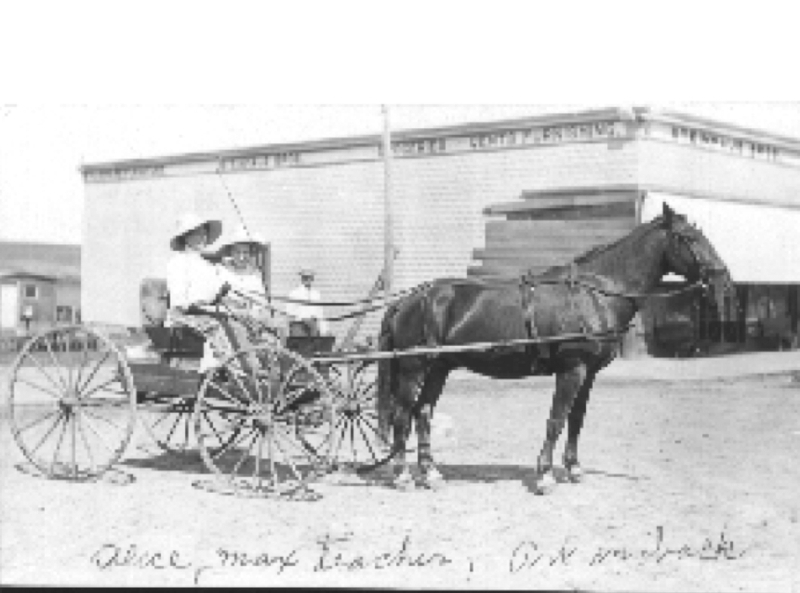 Alice in buggy when she was a teacher in Max. Her future husband Art Steinhaus is in the background. 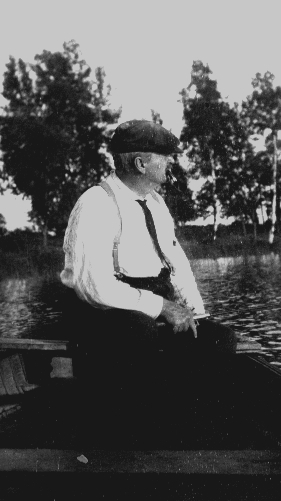 Photo from 1911 that Alice sent to Art during their courtship. 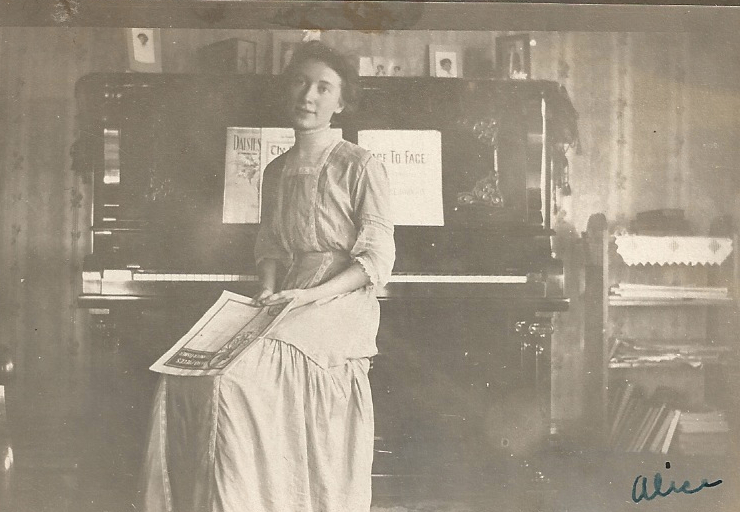 Another photo post card Alice sent to Art in 1911 during their courtship. 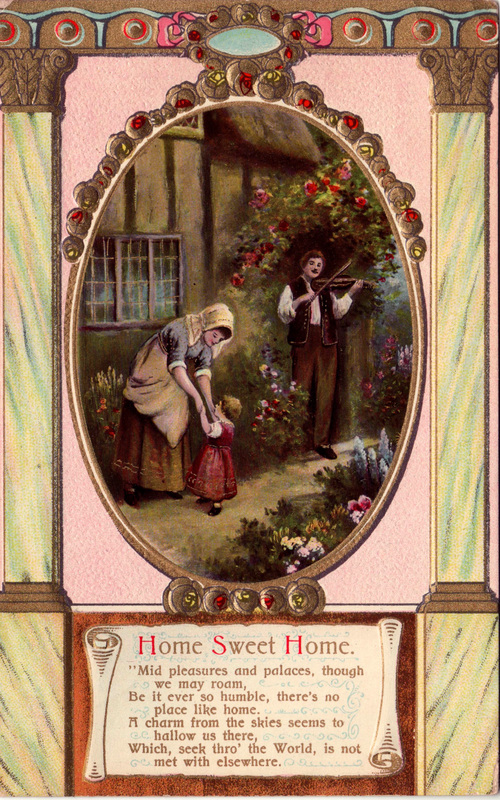 Card sent to Alice in 1911 by Art during their courtship. The back reads: "Little drops of water are falling here and I will drop this little ink. Art." 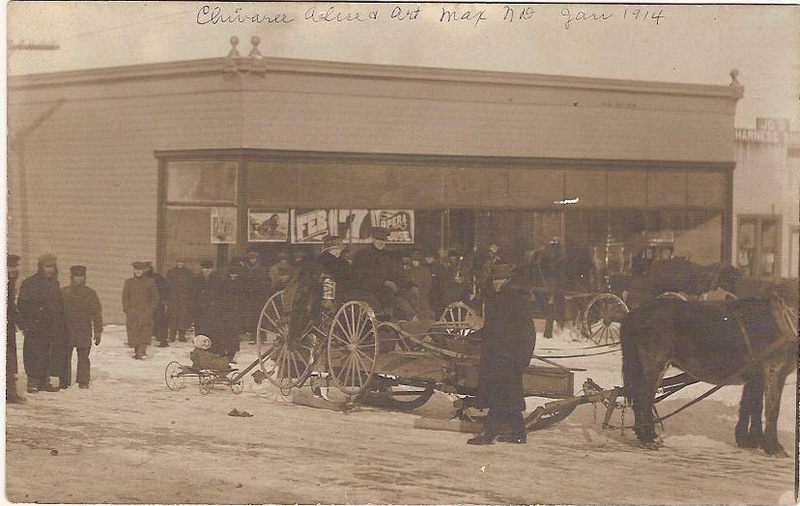 It was mailed from New Richland, Minnesota, and sent to Alice in Max. 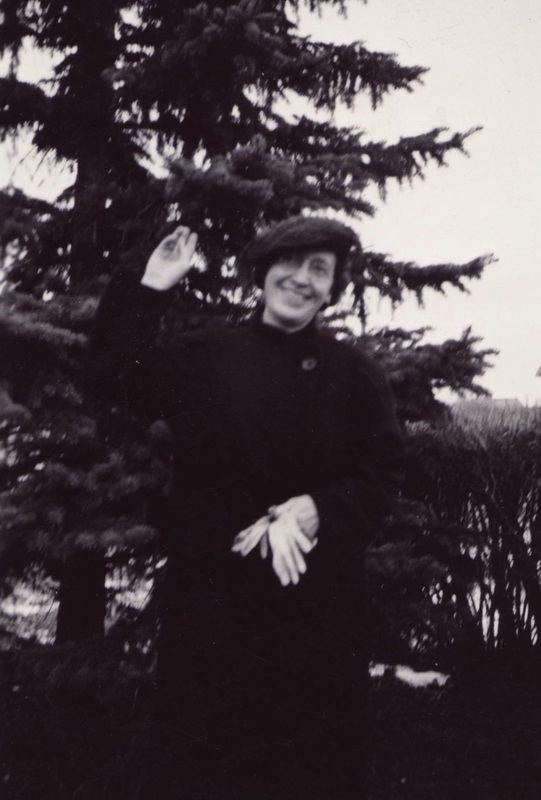 Alice 1953, about age 64. 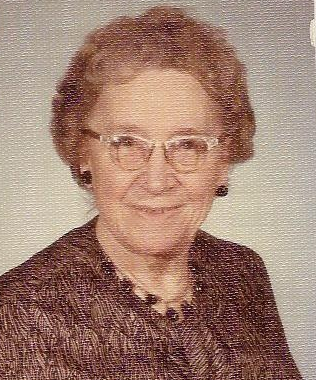 Alice in 1972, age 83. 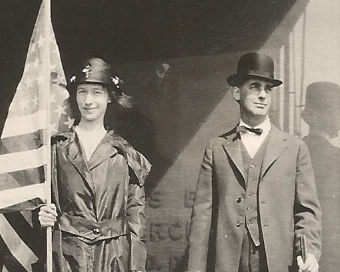 Ethel Rhinehart and Jack Carr married in 1907. They had no children. Maud married Alfred Hallman in 1917. They had three children. 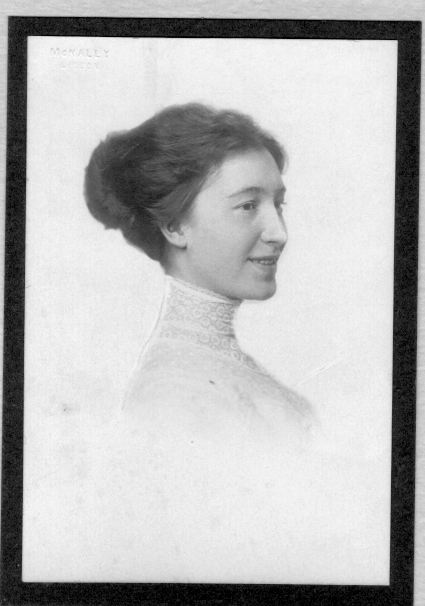 Laura married Thomas Darrow in 1910. They had three children. James died young at age 20, probably of TB. Never married.